Of all the characters in the Bible, there might be none more consistently misunderstood and misrepresented than Mary, the mother of Jesus. At Sanctuary, we have been preaching a series of messages focused on Mary and her tumultuous journey (you can listen here). 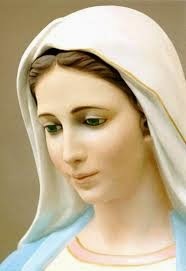 Through my research, I have developed a picture of Mary that differs significantly from those we commonly see on Hallmark cards, movies, and tv shows. Therefore, I present eight myths about Mary and their corresponding truths. For an image of what Mary more likely looked like, read to the bottom of this post. 2. Myth: She was in her mid-20s when she gave birth to Jesus.